Blue Mojitos have a constantly changing and expanding repertoire, but here’s just a small sample. Do you Blue Mojitos take requests? Given sufficient notice and dependant on song required the band are happy to take requests. This may invoke an additional charge, dependent on the style of music requested, the amount of notice given and work required to learn. Can Blue Mojitos play our first dance for us? As the first dance is arguably the most important song of the evening, the band will only play a song not on their list if it is within their instrumentation and style. 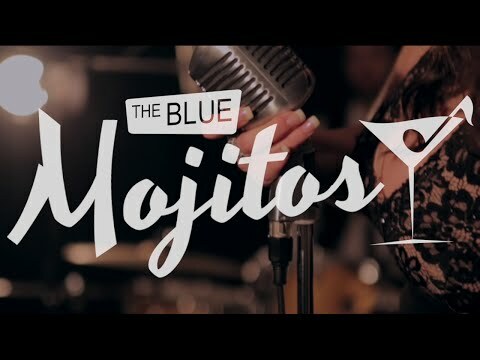 If, for any reason, Blue Mojitos can’t perform the song live, they will arrange for the original version to be played over their sound system at the appropriate time. "Yes, please compile the above and here more of them from Simon (my husband)! The..."
"Well what can we say. They are truly amazing!"  "Really really pleased we chose them"
"I can highly recommend these very talented and friendly musicians." "What a lovely group and Nikki was awesome. Brilliant singer. So many lovely comm..."
Great credentials, members having performed with the likes of Van Morrsion, Jools Holland & Shakin’ Stevens! 5 piece: Female Lead Vocals, Trumpet, Keys, Bass & Drums. 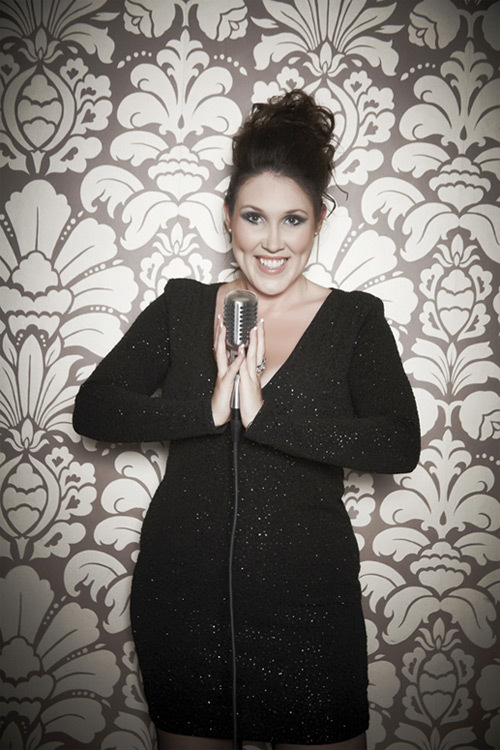 * Great credentials, members having performed with the likes of Van Morrsion, Jools Holland & Shakin’ Stevens! * Fully self-contained with Lighting Rig, state of the art digital PA system and dedicated Sound Engineer. 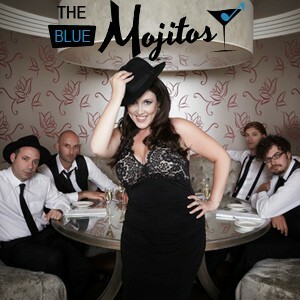 Blue Mojitos are a stylish and classy band, taking inspiration from the Jazz greats, both of yesterday and today. 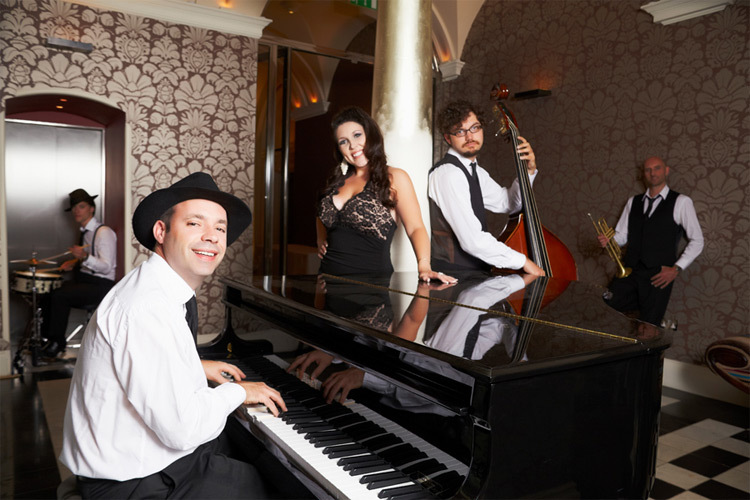 Equally at home providing soothing background music or holding centre stage as the main act, this group of experienced pro’s combine a heady mix of professionalism, talent and genuine love for all things Jazz. Taking inspiration from the great American Song Book, while also being comfortable with more modern day classics, their constantly expanding setlist is flexible enough to cover all moods and tastes. 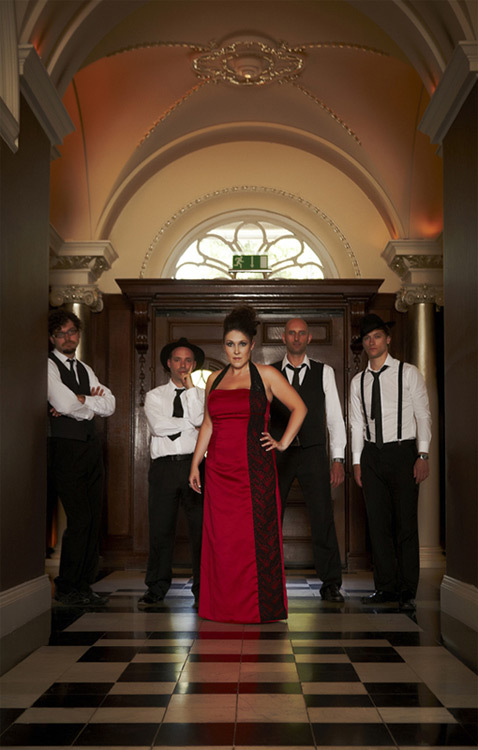 Selected to be the first band to perform a public gig at The Gherkin, London, The Blue Mojitos performed four sell out shows in one day, to great acclaim. Members have top class credentials, having performed with some of the biggest names in the business, giving them the experience and professionalism needed to provide the perfect accompaniment for your event. 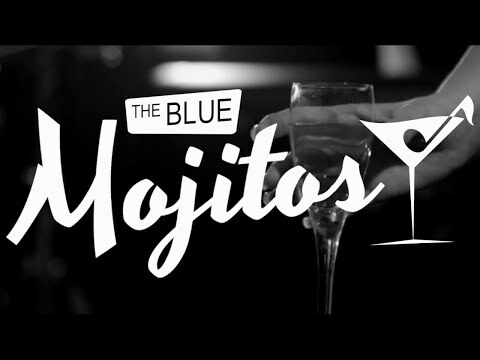 Blue Mojitos have a default line up of Vocals, Trumpet, Keys, Bass and Drums, but are highly flexible and can adjust their set up to suit your needs. 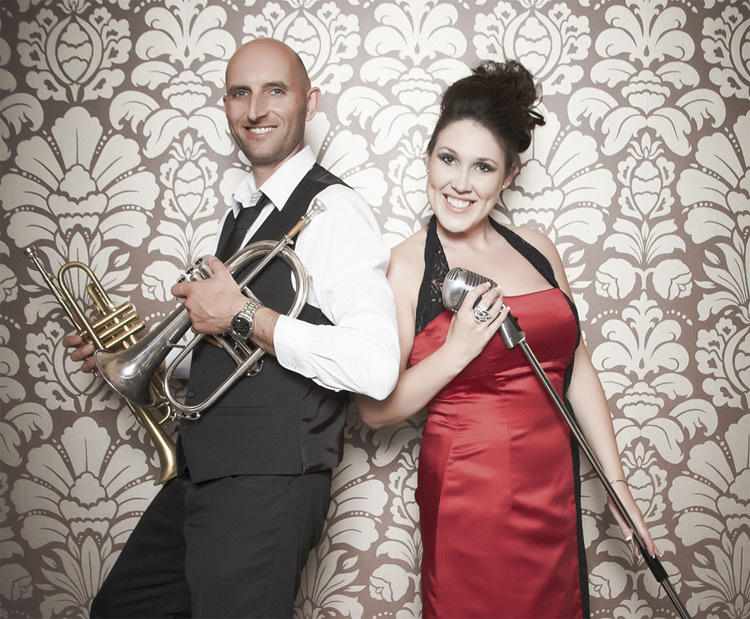 The line up starts as a duo and goes all the way up to a seven piece band, including full brass section In addition to this they are also able to provide a fully themed 50’s/60’s Showband at discount rates. Blue Mojitos come with their own sound engineer, state of the art digital PA and Lighting system and are fully PAT tested and insured. 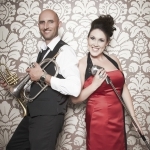 They will also happily provide background music between sets to ensure your event flows as seamless as possible.